Chagas Disease is a neglected tropical disease affecting around 7 million people. Although the majority of these people are in Latin America, increasing global movement of people means that the disease is now also growing in Europe and North America. 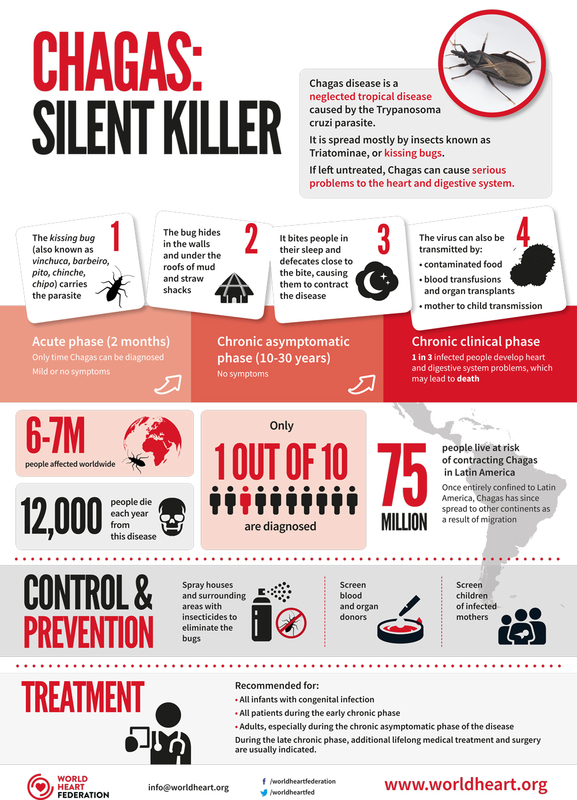 Chagas is often referred to as the ‘Silent killer’ because it can remain undetected for years before it causes the severe heart and gastrointestinal problems that can ultimately kill those who do not receive treatment. It is also called ‘silent‘ for another reason – those it affects are often the poorest and most marginalised in society with no political voice. It is for this reason that such a significant public health concern has been pushed aside for so long. Chagas disease is used by a parasite Trypanasoma Cruzi found in the faeces of the Triatome insect – otherwise known as the ‘kissing bug’. After the insect bites a person and feeds on their blood, it usually defecates close to the bite. The parasite, which is present in the faeces deposited on the skin, enters the host’s bloodstream through an opening in the skin when the person scratches the itchy bite. There are other modes of transmission, such as mother to child transmission, and some estimates state that as many as 9,000 babies are born with Chagas Disease each year. It is also possible to contract Chagas disease by ingesting food or drinks that have been contaminated with the parasite. Oral transmission is less common than other forms and occurs only in areas where the vector is found. Other sources of the disease are through blood transfusions or organ donations although screening measures to prevent transmission of the disease have now been introduced in most countries although some have yet to fully implement the measures. During the initial stages of Chagas infection there can be few symptoms hence why it often goes undetected and undiagnosed. After a long period (sometimes 20-30 years) the heart and gastrointestinal organs can be affected leading to serious problems- like heart failure and even sudden death. Currently only 1% of those patients with Chagas Disease have access to diagnosis and treatment. The medications available have many side effects and their efficacy in the chronic phase is uncertain. We desperately need research and innovation to develop new innovative medications and diagnostic tools to bridge the unacceptable treatment gap. Congenital transmission remains a significant way Chagas Disease is transmitted. By some estimates every hour a baby is born with Chagas Disease. Up until recently control and prevention strategies for Chagas disease largely relied on the early detection and treatment of infected newborns and siblings of pregnant women. But a recent shift in approaches to prevent transmission globally – including in non-endemic countries – is through active, systematic screening of girls and women at risk of infection and provides excellent opportunities for prevention of transmission throughout pregnancy and birth. We are currently creating a WHF Roadmap on Chagas Disease in conjunction with SIAC. Chagas is a neglected tropical disease, named as such because it affects the world’s underserved and underrepresented. 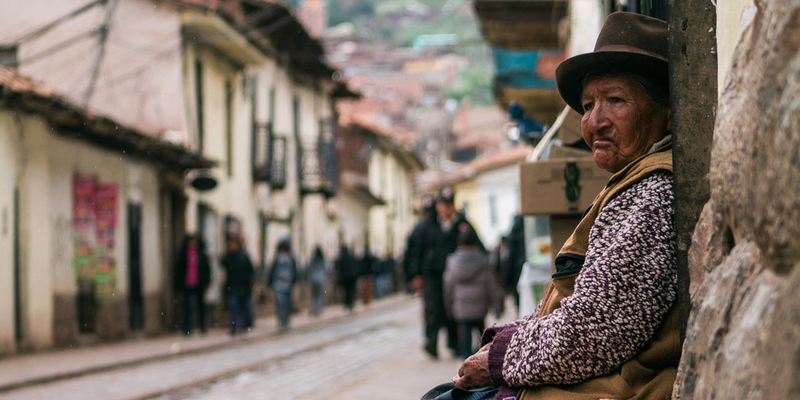 Despite being discovered 100 years ago by Carlos Chagas – little progress has been made to eradicate this preventable disease. The Roadmap aims to identify barriers in patients accessing appropriate care at all stages of the healthcare journey and proposes practical solutions to overcome these hurdles which are aimed at decision makers, healthcare professionals, health advocates, academic and research institutions.